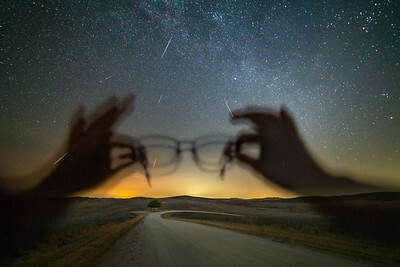 During intervals between meteors sightings, I started to play, placing my glasses in front of the lens in the hopes that a meteor would come by. 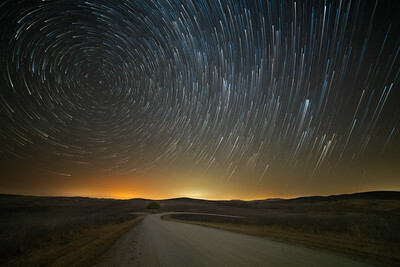 The night sky provided a grand view this early morning with Perseid meteors whizzing silently past our vision. 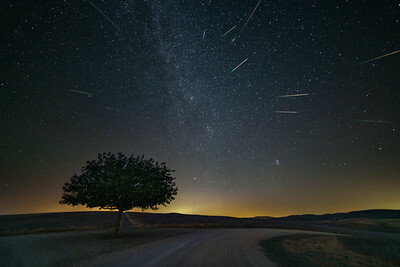 Each individual meteor was combined in a layer and rotated according to the Perseids radiant point.